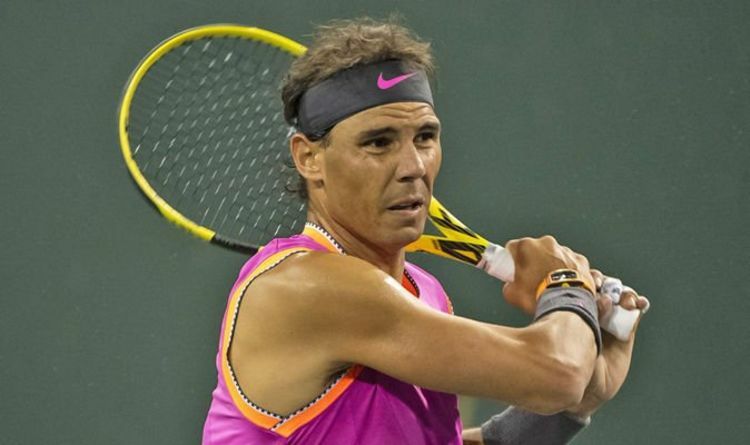 Nadal was in stunning form in his opening match against Jared Donaldson, winning 6-1 6-1. And the 17-time Grand Slam says he loves being in Indian Wells. Nadal said: “I played a lot of good tournaments here. And I really enjoy playing here. That’s true. I always felt great. “It’s an event that is a little bit different because normally big events are in big cities. “Here we are a little bit with different feeling being a little bit away of the world, and, yeah, with the feelings that everything is with calm, the views are unbelievable. Normally the weather is great. This year is a little bit worse. “Today was a very positive step for me, and next one gonna be against a player that we know each other very well, we practiced a lot of times, and we played some tough matches. “And this one of the best talents of the sport today. Coverage of Rafael Nadal’s match against Diego Schwartzman is being broadcast on Amazon Prime Video.